Brokers often talk about the hoops they are forced to jump through to verify income, but this one example may take the cake. During the broker panel at the national association’s conference in Toronto, broker Croft Axsen told those in attendance about a file he lost because a client’s bank account showed $1,600 of unaccounted income that Axsen couldn’t verify. He couldn’t verify the income because it was made at a garage sale and, as anyone who has ever hosted or attended a garage sale – so virtually every Canadian – knows, there is no paper trail or receipts. Axsen , along with several other panel members, were critical of recent regulations that requires brokers to spend an increasing amount of time on verifying income. 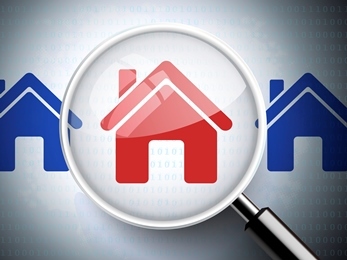 And income verification has been a hot topic among brokers recently. Another recent example that caused frustration from one broker: A lender required Jeff Evans, a broker with Mortgage Architects Canada Innovative Financial, to hand over details from the account of a sibling who had gifted his sister -- Evans’ client – part of her down payment. “I was asked not only to confirm my client’s account, the lender also wanted three month’s history for her relative’s account (who the gifted funds came from),” Evans recently told MortgageBrokerNews.ca. Yep! I can relate to the 90-day history from an applicant's father's Bank account history as well. I lost that deal because the father refused to provide it, so the client went to a local Bank's branch, and they funded the $460,000 mortgage in Ancaster, without that requirement. Or the time downpayment came from the money received at the clients wedding(various cheques). Lender asked me to get a letter from everyone who gave them the gift that the funds were a gift from the wedding.